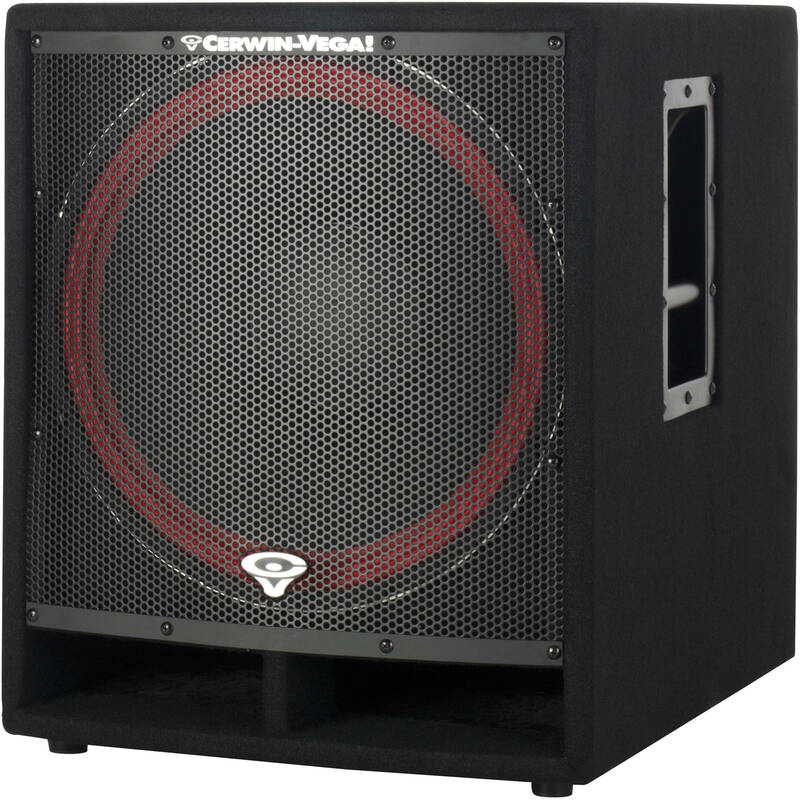 The CVi-118S 18" Passive Portable PA Speaker from Cerwin-Vega is a portable, dedicated subwoofer system designed to extend and supplement the low frequency extension of CVi full range systems in live music and playback applications. The CVi-118S speaker features a high power, cast frame 18" transducer with a 3" voice coil for extended use during high SPL applications. Steel handles and pole mount cup are also featured for use as a base for pole-mounted full range systems. High Frequency Drivers - PEPT Film (Mylar) compression driver provides natural sounding instruments and vocals and the Hemi-Conical Waveguide (80° x 50°) gives smooth on and off axis frequency response. Advanced crossover network designs are employed for coherent cross-band summation throughout the coverage pattern. Low Frequency Drivers - Cast frame 18" Reflex loaded woofers. An 18 gauge, perforated steel grill protects the entire front of the enclosure. The polypropylene fiber covered, internally-braced structural wood housing is durable, light, and strong. The CVi-118S finds application in outdoor stages, portable live sound PA, auditoriums, drum monitor sub, DJ system PA, and clubs. Box Dimensions (LxWxH) 26.3 x 26.3 x 21.3"